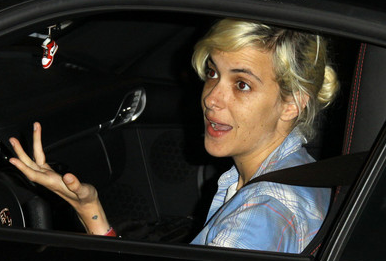 Samantha Ronson is prepared to scratch the heart tattoo she got in 2008 with Lindsay Lohan. Sources dished the scoop that the celebrity DJ headed to a tattoo station at Chicago’s Lollapalooza where she helped design a skull and crossbones for guitarist Jimmy Messer. While watching the artist work on Jimmy, Samantha brainstormed ideas for her next tattoo, which will be something on her left hand to cover up the small heart she got in 2008 to match Lindsay’s tattoo.